How can this little guy already be 4? He’s tall and strong and fast, running and hopping and spinning in his favorite rainbow shoes and Wonder Woman baseball cap. He outgrew two sizes in the past year, really putting holes into my argument that he needs to eat his veggies if he wants to grow big and strong. Every now and then he’ll try very very hard to make us happy and put a tiny molecule of red bell pepper or sweet potato in his mouth and smile unconvincingly along with our excited grins before saying “I don’t like this very much.” He does, however, like bagels and fruit and “snacks,” demanding one of the latter before he even gets in the door in the evening. He’s the kindest little soul you’ll ever meet, despite the occasional meltdowns that come with this age of big emotions and little control. 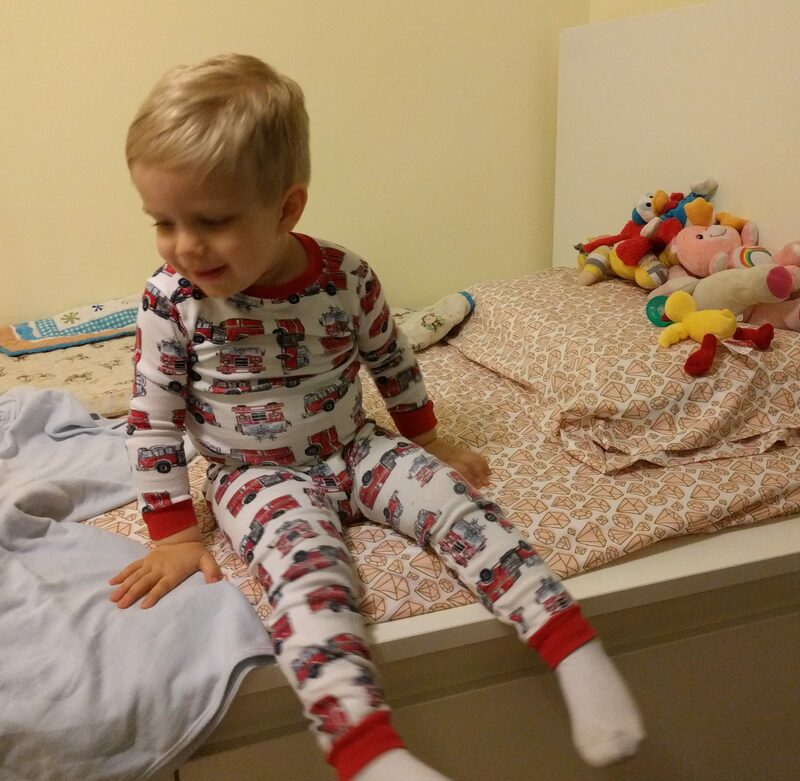 He’s over his big moods pretty quickly, and can often be distracted from them with silliness and giggles. There’s an overload of silliness in this house, and much of it is his. Non-sequiturs pour out of him all day, surprising us with cleverness and insight. He just can’t get enough of sharing all the things he’s learning, which means he’s talking pretty much all day long. He’ll tell you we can’t see the moon right now because it’s on the other side of the world visiting Africa, or that those cars have red lights on to tell us they’re stopping and blinky lights for when they’re turning, or that the puddles are gone now and we can’t jump in them because water e-vap-o-waits and then the puddles make clouds and that’s SO SILLY, right Mommy? Most of his baby words are gone, though, and I am grumpy with daycare for correcting some of my favorites and making him sound like a big kid. Lellow and fire malarm vanished within a week of each other and it was almost too much to bear. I miss the days of murms and Lee-num, but there’s some good to being able to have a real honest conversation in multi-syllabic words with this guy. I keep asking him about his favorite things, so I can record them for posterity, but he has too much love in him to play favorites. If you ask his favorite color, he’ll tell you it’s black, white, orange, and blue. If you ask him his favorite superhero, it’s Wonder Woman, Batman, and Captain America. His favorite show is Magic School Bus and Wild Kratts and Llama Llama. Why not love all the things? He has a big-boy bed now, but prefers to sleep on the floor, wrapped in his monkey sleeping bag and covered in books. He’s great at puzzles, is recently obsessed with Bingo, and wants to teach his brothers to swim this summer (note that he himself cannot yet swim). He still loves the moon and just learned about lightning bugs. He drags both dinner and bedtime out to interminable lengths and makes us crazy, but sometimes the conversation is so much fun, or the requests for hugs so welcome, that it’s hard to push back. Happy birthday, sweet guy. Looking forward to how cool 4’s going to be. This entry was posted in Uncategorized on June 21, 2018 by antijen. It’s harder this time. Harder to let go of the stages as they pass. You are the last – there won’t be anyone so small in this family until and unless you welcome children of your own. Your baby days are racing by, with your birth feeling so distant already. You were so small and so fragile. We held you so gently among the lights and monitors in the NICU, encouraging you to drink and thrive. And you did! So quickly that it seems every blink revealed new babies. Now, when you’re at the breast and I reach down to keep your strong, chubby legs from kicking me, I squeeze them so my hands will remember. These thighs, these rolls, these legs with strength but no coordination, with energy but no control. Soon they will grow longer, leaner, and carry you away from me as I clap and cry at your amazing success. I squeeze them, every time. I need my hands to remember, in case my mind won’t. There’s so little time for me to drink it in. So little time to record and write and preserve these memories for when I’m old and you’re too grown-up for snuggles and silliness. So forgive me, as you grow, if I kiss you too much. If I lose the thread of your story because I’m staring at your hands in mine and wondering when they got so big. Forgive me if I use my baby names for you in front of your friends. I just need to hang on to the sweetness of what you are right now, because as wonderful as you’ll be every day as you grow, you are the last of my babies, and I love you so. This entry was posted in Life and Family on April 22, 2018 by antijen. When everyone you know is having babies, and you’re invited to a hundred baby showers, it gets a little overwhelming navigating baby registries to find the right things to buy for the parents-to-be. It’s tempting to go off-registry, especially when the only things left on the list are big-ticket items. 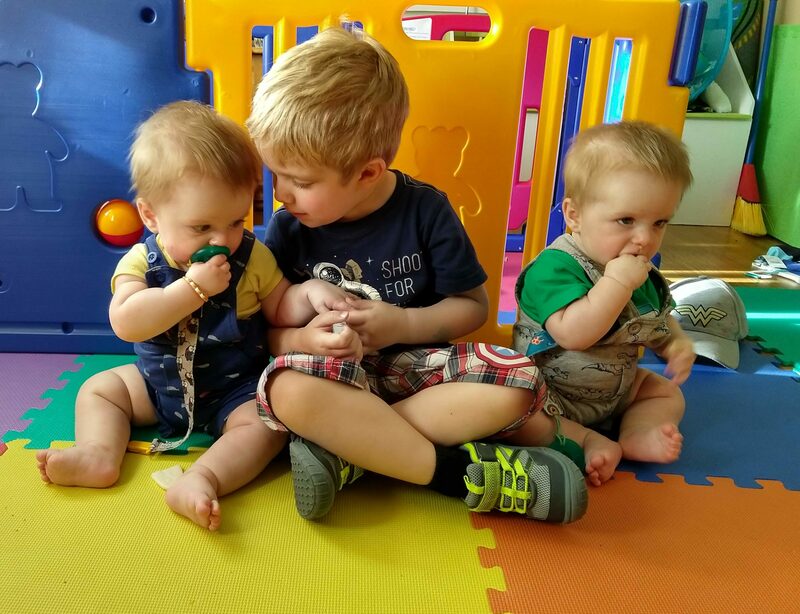 But off-registry shopping usually results in Mom having a 14-year supply of sleepytime bath wash and lotion, a dozen copies of Goodnight Moon, and enough newborn sleepers to clothe triplets… until they get bigger. Want some ideas for unexpected baby shower gifts that might actually be useful and well-received? I got some! No, not baby towels. Those are pretty terrible and everyone gets a hundred of them because they’re so cute. I mean grown-up towels. I know, towels don’t seem very baby-showery. That’s why these are unexpected baby shower gifts. Really, a gift of giant bath sheets to the mom-to-be is a great idea, because as that belly expands, normal-sized bath towels may as well be hand towels by the end. Bath sheets are big enough to wrap all the way around and are incredibly satisfying. Depending on the season, you could also get huge beach towels with fun prints – same size, same idea, but could double as actual beach or pool towels for future summers. But I also recommend getting a stack of cheaper normal-sized bath towels in a darker color. Mom can throw them on the couch when nursing, to avoid regurgitated milk stains on the microsuede. throw them on the floor for tummy time – easier to wash than the fancy play mats. Later, when kiddo is older, lay them on their bedroom floor as puke catchers on sick nights. Yes, it’s gross. And it takes nerves of steel (and sometimes a second set of hands) to use it properly on a howling infant. But no product in the world works as well on a stuffy baby nose. There are fancier models meant to be used with replaceable filters, but you can also find ones that use regular wadded-up tissues as a filter – much cheaper in the long run. If you’re giving this as a gift, add in a squirt bottle of saline to go with it, because loosening up the snot with a small squirt of saline makes it so much more suckable. Just be careful to buy something that’s indended for babies – there are adult saline sprays with a much more powerful spray that could hurt a baby’s teeny nose. You may worry that sucking snot directly from the baby’s nose will guarantee that the parents catch every cold the baby gets. That’s why the little rubber bulb “aspirators” are on everyone’s list and come packaged as part of every baby toiletries kit. But, look, germ transfer is going to happen anyway, because babies are designed to leak every possible fluid all over everyone. All germs are shared germs once baby arrives. Some folks may be put off by the snot sucker and want to return it right away, but I know so many who swear by this thing that I absolutely recommend it to everyone who’s either having a baby or buying for one. All new parents have car sun shades on their baby registry. But most of them have selected the wrong sun shades: the sun shades that roll down like old-fashioned blinds, and are held up with flimsy suction cups. They fall off, kids can reach them and yank on them, and they only cover a small section of window. The cling film sun shades aren’t much better. Most of them are packaged all folded up into a tiny square, leaving creases that never quite smooth out. They’re all pretty fiddly to stick on, and peel easily. These stretchy ones fit over the whole window, frame and all, like a stocking. They block every possible inch of the window, so baby won’t be squinting and screaming. 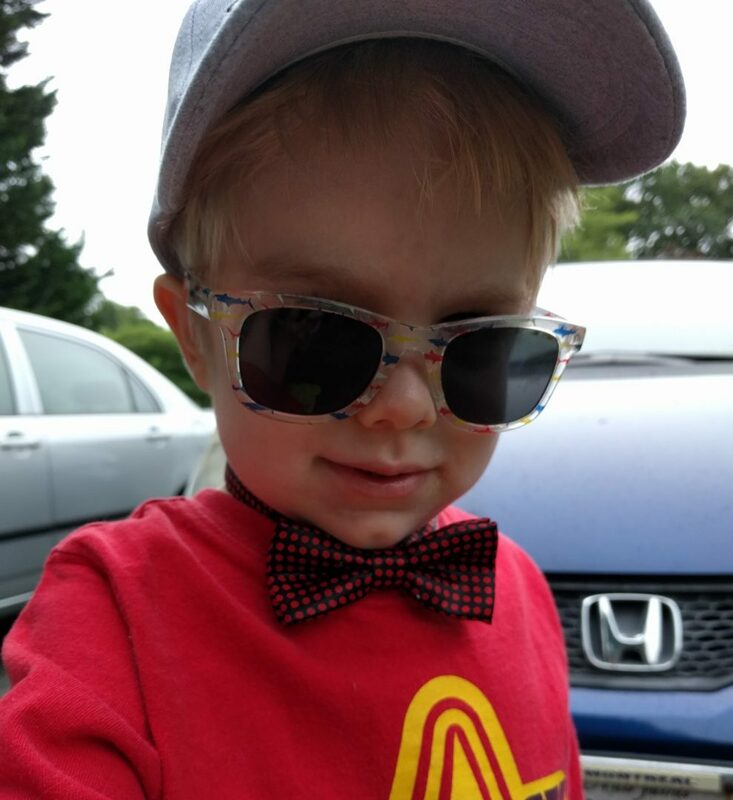 One size fits most cars, and even if kiddo yanks it up, the stretch design means that the outside layer will keep blocking the sun. The only downsides are that they flap in the breeze, and they affect visibility once it gets darker outside. They’re washable, easy, and fantastic. I recommend these to everyone looking for a baby shower gift. These are a great gift, especially if you know that the new mother is planning to breastfeed. She’ll need to stay super hydrated, and she’ll often be trapped with only one hand free. A collection of water bottles she can keep filled and ready is extremely useful. Even better if they’re the flip-up straw kind, like these BPA-free Contigo bottles: easy one-hand operation, and less mess if it gets knocked over. For extra credit, add a straw brush set for cleaning these – she’ll need one for sippy cups down the road anyway. Same idea as above: sleepy new moms need their coffee, but an open cup of hot liquid is dangerous around baby. Spill-proof travel coffee mugs are a must. I highly recommend the Contigo autoseal ones, because they require you to press a button in order to open them enough for a sip. When baby’s older and mobile and grabs the full mug when nobody’s watching, they won’t be able to accidentally dump it all over themselves and the floor. Any of these gifts might get you a funny look at a baby shower as it’s unwrapped, but once the new parents are in the trenches they’ll realize that these were spot-on gifts. I know that every one of these has made my life easier as a parent, and I appreciate their existence on a very regular basis. Note: Links in this post are Amazon affiliate links. You can read more about that here. This entry was posted in Thoughts & Opinions and tagged baby shower, gift ideas, opinions, suggestions on July 8, 2017 by antijen. How can this boy be three? Things change so quickly now. His vocabulary is expanding exponentially and he plays with new words like Play-Doh, squishing them and mashing them together to see what they can do. He knows so many words, and he uses them so very much. He knows his alphabet, his numbers, and a decent number of his internal organs. He knows that we live on Earth, robots live on Mars, and nobody lives on Neptune, which makes Neptune terribly sad and lonely. He’s learned to run and hop, aided by the orthotics that now support his ankles and help align his legs. He’ll bounce on his trampoline and race across the yard screeching “I runnin’! I runnin’, Mommy!” He’s still cautious on unsteady surfaces, and climbing isn’t his strong suit, but his confidence is slowly improving for physical challenges. He’s motivated to catch up with his friends, and it’s helping to push him a little. When I pick him up from daycare, we need to find all of the daycare administrators for goodbye hugs, and he is so very sad if any can’t be found. Once outside, we have to walk to the back gate leading to the playground, so that he can poke it, then point to the keyhole and declare that only Miss Mandy’s keys work in there and Mommy’s keys are for home and Mommy’s H key is for Mommy’s car. Every day. He loves SuperWhy and Little Einsteins, and is starting to allow us to put on Wild Kratts and Daniel Tiger for a change. He still doesn’t have the patience to watch much TV, which is both a blessing and a curse. 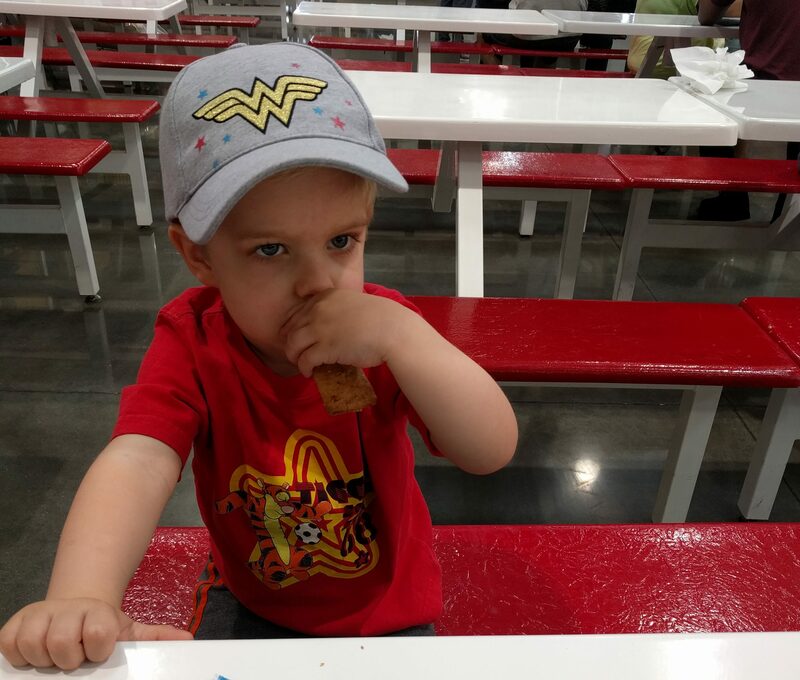 He is still bonkers about Elmo, but is now also in love with “Woman Woman,” whose logo is recognized and pointed out everywhere. Once he’s been given an explanation for something, that is the explanation and he will entertain no other. If we’re not going for a walk because it’s raining, then every time we say no to a walk, he checks for rain; if he sees none, he smugly declares it sunny. This situation is particularly difficult, because he’s entered his “why” phase and if we give him a silly answer, it’s the one that will stick, and dislodging it from his brain afterwards is a huge challenge. He doesn’t like “veggables,” and blueberries are now suddenly off the good-food list because “they have so many holes.” We’re pretty limited in what we’re allowed to put on his plate. 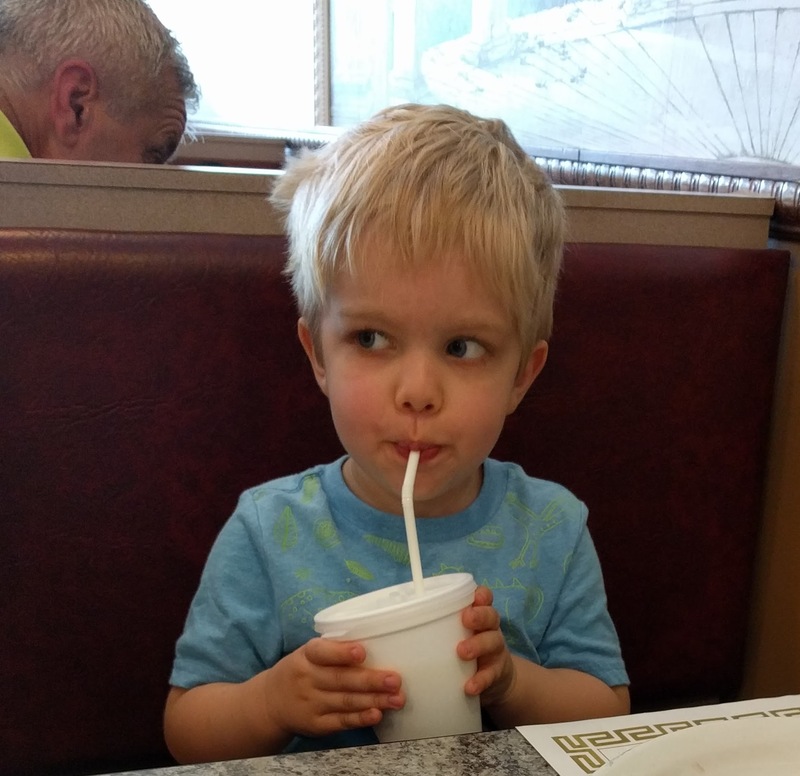 He’ll sing the Daniel Tiger songs about trying new foods, but refuse to follow along with the message they convey. We’re in a typical 3-year-old rotation of chicken nuggets, meatballs, fruit, carbs, and dairy. Eager to do more things by himself, he’s started asking to help me in the kitchen – stirring cream into my coffee, cracking eggs, spreading cream cheese on bagels. He flings a tea towel over his shoulder when he does these things, because that’s what I do so it must be part of the process (it totally is). Every morning that the garbage truck appears on our street is the best morning ever, as he bounces up and down with delight and begs to be picked up to see out the window. If it comes early, he will hear it and he will wake up and he will come and yell GARBUDGE TWUCK MOMMY six inches from my pillow to shock me out of bed and into immediate action. 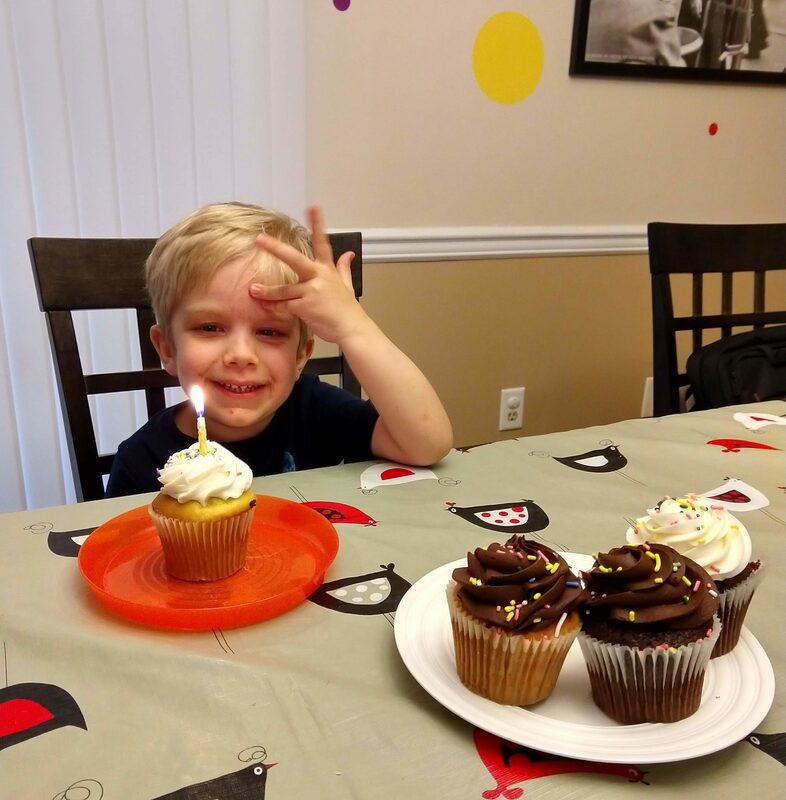 “Flamily” means the world to him, and he adores doing anything with both Mom and Dad because we’re “like a flamily.” He’s over the moon every time we visit his cousins, and our regular visits to Grandma and Pop’s house are a source of delight for him. He misses them if we miss a couple of weeks, and asks if it’s a Grammapop day. We talk to Boobah on the laptop a few times a week, even if he mostly stands there demanding that she read him books through Google hangouts (which she always does, without a fight, every single time). We visited Montreal for the first time in 2 years and he got to see almost his entire extended family, and the joy in those meetings was equal on all sides. Many books were read and much Doh was Played. He’s loving and generous and conscientious, always offering immediate kisses if I say something hurts, and suggesting I lie down – while he brings me a pillow and blanket – if I say I’m tired. 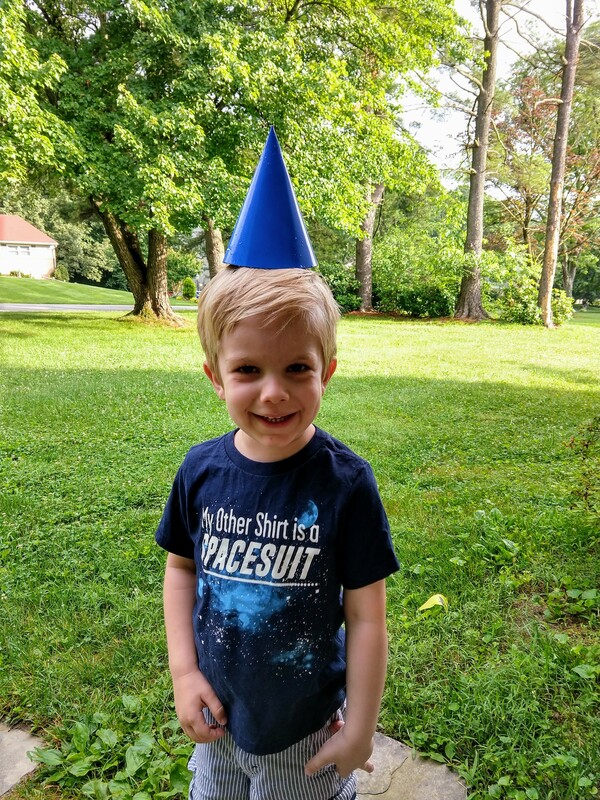 As much as the defiance and whining has ramped up in the past couple of months, the kindhearted little dude is still in there and we’re doing our best to encourage him to stick around through the forest of the threes and long into his kidhood. Happy birthday, sweet boy. You make our flamily so very happy. And tired. But mostly happy. This entry was posted in Life and Family and tagged kiddo on June 21, 2017 by antijen. March 11th, 2007. Ten years. An entire decade since I packed up all my things in my boyfriend’s parents’ minivan and crossed the border with my work visa and no idea whether or not this whole “Jen’s international move” idea might be insane. It was insane, really, if you think about it. I’m an anxious person: risk-averse and disinclined to attempt anything where my success isn’t guaranteed. I’d never lived on my own. And yet somehow I found it in me to take certification exams and fill out visa paperwork and interview for a job in a foreign country, 500 miles away. Not a decision that anyone who knew me expected me to make. But ten years ago today, I surprised myself by actually going through with an international move. I signed a lease on my first apartment. I opened a bank account. I bought furniture and groceries and I waited for the cable guy to hook me up with TV. I learned new roads and got used to using money that’s all the same color. 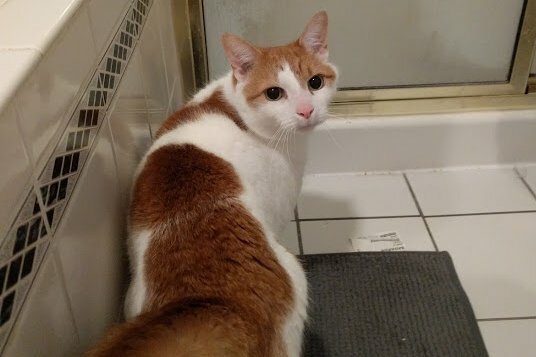 I adopted a cat. I missed home. A lot. But I was doing this crazy thing and not actually failing at it. Ten years later there’s a mortgage and a toddler and a marriage and a green card, and I’m still not actually failing at any of it. I’m actually doing a damn good job, thank you very much. Take that, risk-aversion. My reality is here now, and after a decade I guess I’ve gotten pretty comfortable with it. I’m proud of myself for taking the steps and for working to build and maintain this life here, and I’m grateful for all the help I’ve had along the way. I’ve grown and changed and I hope that some of what I’m doing every day matters. I still miss home. But not quite the kind of missing that makes me want to go back there, at least not most of the time. The kind where I wish that here was closer to there and going back and forth could be easier. If I could keep my job and my house and my family but also be able to see Mom for dinner, or pick up Timbits on the way home, or be able to leave the Habs game on as background noise as I fold laundry. The current situation in this country is discouraging and frightening, and I’ve been asked over and over by well-meaning friends whether I plan to stay here. Barring disaster, yes, I think I will. This is my community now, and it’s my responsibility to lift up everything I’ve discovered that’s wonderful about America, while working to change what’s not. I may not apply for citizenship, even though that would give me a vote. I’m not sure yet whether I’m comfortable with the words I would need to recite in front of a flag which is so often held up in hateful ways. But I’m not leaving. I’ll try to teach my American kid some French in between his lessons about respect and civic responsibility. After all, immigrants make this country great. This entry was posted in Life and Family and tagged accomplishments, family, homesick on March 11, 2017 by antijen. I am a legal permanent resident of these United States, currently living in Maryland’s 7th district, represented by your voice in Congress. I am writing to you today to ask you to keep up the fight to preserve the protections contained in the Affordable Care Act, and to work hard to convince your Republican colleagues to reconsider their efforts to repeal the Act. My son’s life may depend on it. Liam is two and a half years old. He loves to play his ukulele and harmonica, and his favorite planet is Jupiter. He insists on wearing bow ties, he likes to help me make my coffee in the morning, and he tells me every day that he loves me “really much.” He is the greatest joy of my life. 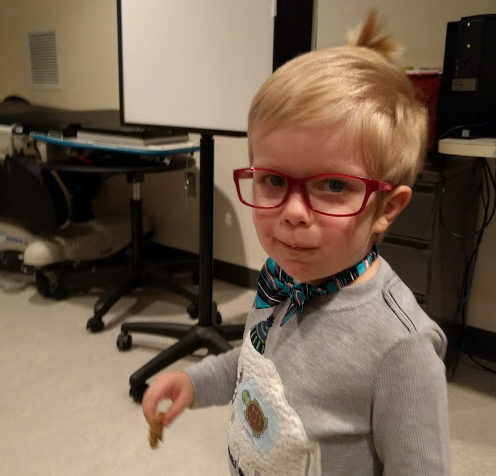 Born with a genetic condition called Neurofibromatosis (NF), he has already endured five sedated MRI scans, to watch carefully for growth of the tumors that already threaten his optic nerves and other regions deep in his brain. Every three months, we bring him to the hospital and hold him as they apply the anesthesia mask to his face. He holds his beloved Elmo, and we rock him and sing to him, but he always cries. He cries because he doesn’t understand. We cry because we do. 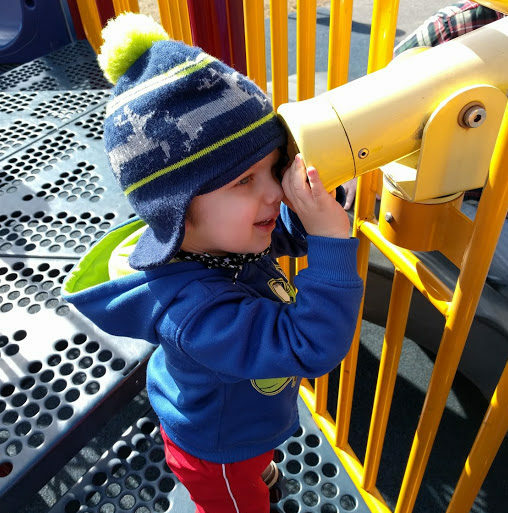 Despite all of this, he is a thriving and joyful little boy, loving and learning and testing his limits like every other toddler. He sees an ophthalmologist and a neurologist regularly, and he goes to music class on Sundays. He sees a physical therapist and an orthotist for the low muscle tone that come with his condition, and he has soccer once a week. His extensive medical care is just a part of our life, and we adapt. We are grateful that he hasn’t yet needed any surgeries or serious intervention that would require hospitalization. Other children with NF aren’t so lucky. A day may come when chemotherapy will be necessary to stop Liam’s tumors from taking his vision. Serious and complex surgeries may be needed in the future, to remove painful nerve tumors growing along his spine. And one day, he will grow up and grow out of his dependence on us, leaving him to find coverage for himself. This is why we can’t allow the Affordable Care Act to be repealed. If lifetime caps on benefits are reinstated, chemotherapy or surgery could have us reaching those caps within a matter of months. 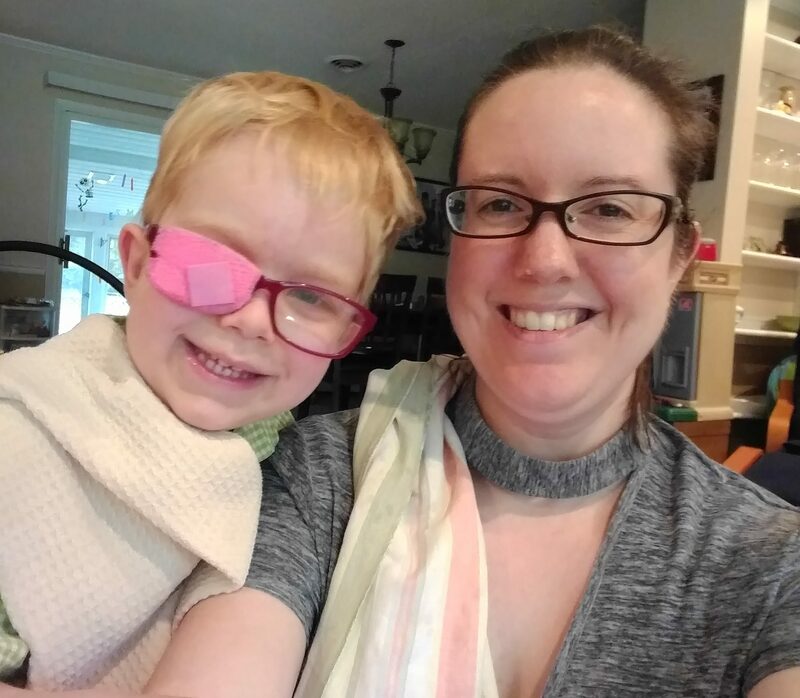 If pre-existing conditions clauses are allowed, my son may not be able to find affordable health insurance for himself when he grows up, because of a spontaneous mutation that occurred before he was born. And if anything happens to us to affect our ability to work, we need better options than high-risk exchanges or bankruptcy. Yes, we hope to maintain access to employer-subsidized health insurance, but without protections in place for us and our family, we’re one layoff away from a disaster. That’s a lot of stress to carry, when we already carry so much. I came to the United States from a country where healthcare is understood to be a basic necessity, and is available to all through the taxes that residents pay into their government. When I moved to Maryland in 2007, I was consumed by anxiety. I had a good job with good health benefits, but what if I were to get sick enough that I could no longer work? What if I lost my job and it took me several months, or years, to find another? It’s common knowledge across the globe that Americans lose their homes when they get cancer, and carry crushing medical debt if their children have special medical needs. The passing of the Affordable Care Act, and the protections it contained, made me feel much safer here. America could be humane about health care after all. That’s why I can’t understand why so many Republicans want to erase that progress and put stress back on American families and individuals. Surely they also have families of their own. Surely their constituents include families like mine, children like Liam. Why do they want children like my son to be left without access to reasonable health insurance once he’s out on his own? Why do they want to cap how much health care any one person is entitled to? Why do they want us to live in terror of losing our jobs or getting sick? Why do they think that families with sick children need the extra strain on top of what they’re already living? Why do they ignore the voices of the people they represent, and feel that they know better? This entry was posted in Politics, Thoughts & Opinions and tagged America, family, kiddo, politics, resistance on March 5, 2017 by antijen. It’s been a long month or two around here. And out there. Pretty much everywhere I look, really. Everyone’s spread too thin, not getting enough meaningful sleep, not finding time to recharge. It’s hard to find time for the things that make us happy, and it’s easy to overlook the little happy-makers floating around in our lives when we’re jumping from crisis to crisis. Today I’ll let someone else write the pep talk and deliver bulleted lists of simple action items to take down the patriarchy and the white supremacy and the authoritarian fog that’s slowly blotting out the sun. Today, I’m going to write about some insignificant little things that help to make me happy. I can squirt some Lemon Pledge on a paper towel, half-heartedly swipe at a couple of wooden side tables, and my house smells like I’ve somehow managed to squeeze in some housework. Fake it till you eventually have time to make it, right? This also works with lemon Lysol spray and citrus-scented surface-sanitizing wipes. If I can find ten minutes to sit out on the porch with a cup of tea and watch the birds or the rain or the sunset, it does something very good for my brain. Even if it’s freezing out and I need to bundle up. Oddly enough, this only works for me with tea. Coffee doesn’t work. It has to be tea, Earl Grey, hot, with a pinch of sugar and the spoon left in. Speaking of caffeinated beverages, I finally bought a burr-style coffee grinder, after being on the fence about the expense for ages. A month later, I can confirm that it was $45 well spent. I’m not super picky about my coffee, other than a preference for darker roasts, but grinding the beans just before making the coffee makes for better coffee. Friends have been trying to convince me of this fact for ages and now I have been converted. Even when I ran out of my favorite Mayorga Cafe Cubano beans and had to resort to a slightly-past-date bag of whole-bean Starbucks coffee I found in the pantry, the results were noticeably better. Any coffee wakes me up, but good coffee makes me happy to be awake. Preferably with the fluffy thing’s consent. There are studies out there that say petting cats and dogs can reduce your cortisol levels and help to lower blood pressure. This also likely extends to chinchillas, hamsters, ferrets, and rabbits, so please make the attempt to pet and/or snuggle your domesticated fluffy thing ASAP. Please proceed with caution if attempting to pet wild fluffy things, or domesticated non-fluffy things. The author is not legally responsible for her readers’ raccoon bites or hedgehog-quill impalements. I’ve recently gone back to making my to-do lists and shopping lists in good old-fashioned pencil instead of in pen. The scratch of the lead dragging on the paper is SO incredibly satisfying, as is the scritch-scritch of the little pencil sharpener. Maybe it’s reviving quietly happy childhood memories? Not sure what it is, but it feels so good to write with pencils right now. If I could write this blog in pencil, I would. What little things are bringing you joy? Are there any small things you do for yourself to ease your stress? If you look around at your life and habits, can you uncover any small joys hiding underneath your stressors? I’d love to hear about them. This entry was posted in Thoughts & Opinions and tagged life at home, opinions on February 26, 2017 by antijen. Every little bit counts. I have to believe that. Even though my carefully-written letters to my political representatives go unanswered. Even though those representatives are already doing all the things I’d be asking them to, and supporting all the resistance that makes sense. It feels odd to write to them, knowing that their minds are already made up and they’re already on my side in the fight. But I have to believe that my calls and letters end up tallied on a spreadsheet somewhere and make a row or column just a little more impressive, make someone nod to themselves and say yes, yes I am doing right by these people. I’m not changing votes. I’m not going to be the one who saves the ACA or finally gets the president’s tax returns into the light. I can’t give Trans kids the protection they need and I can’t keep states from shredding apart abortion rights. I don’t have the power to overturn immigration bans. The people whose minds need changing on these issues aren’t my representatives and aren’t listening to me. But I did get an unexpected response this week from a local Islamic school, thanking me for my letter and expressing comfort in the knowledge that so many in the community reached out to them. I’ve been reading Washington Post articles without the pressure of a paywall, and feeling good that a journalist is getting paid for their hard work today. Maybe one more stone will be turned, and one more important article will be written. I received an email from my professional organization, thanking me for my engagement and informing me that they have written to the president and issued a public statement condemning the immigration ban. Someone saw the Black Lives Matter pin on my coat, and asked where they could get one. Maybe it’s okay that our actions are small and feel insignificant. Maybe it’s okay that all we have are straws. If we can get together and concentrate our efforts on the right camels, maybe the straws will be enough, in the end. I have to believe that every little bit helps. Get out there and find a camel to put your straw on. This entry was posted in Public Service Announcement, Thoughts & Opinions and tagged feminism, opinions, politics, resistance on February 23, 2017 by antijen. I’m writing this today because I need to keep track of how I’m resisting the efforts of this administration to undo the hard work that’s improved health care and the economy and equal rights for so many. It’s not enough to talk about the fight: we need resistance and accountability. I need to make lists of my efforts so I’m not just telling myself that I’m fighting for equality and for access to health care and public schools and clean water and other basic human necessities. Talk is cheap. What have I done to back up my intentions? I have called or emailed (often both!) my Senators and my Congressman daily. They have already made their disagreement with Trump’s agenda very clear, often putting out public statements against his nominees and his hasty and bigoted Executive Orders before I’ve even had a chance to ask them to speak out. I call anyway, to thank them and to share stories about why their votes matter to me and my family. I contacted my professional organization, asking them to make a public statement condemning the immigration ban. I have been sharing the This Week in Autocracy spreadsheet on Facebook, hoping that others can use it to investigate news stories and find new ways they can safely protest and resist this administration. I’ve followed more voices from minority communities on Twitter, so I can try and learn to listen, and to understand how I am helping – or hurting – with the choices I make. I wrote a dozen letters to local Islamic centers and mosques, telling them that they have friends here who will fight for their rights and freedoms. I signed up to volunteer for Lawyers for Good Government, who have been fighting the immigration ban and providing legal counsel to those who were detained in airports across the country when the ban was enacted. I haven’t been contacted yet, but at least I’m on their list if they need me. I contacted my county executive, asking him to reconsider his veto of a local bill which would have made my area a “sanctuary” county where police couldn’t harass or detain people on suspicion of illegal immigration status. I also contacted my representative on the county council and thanked her for voting for the bill even though she knew it couldn’t pass the veto. I bought Organizing for Social Change after writing to my local library asking that they purchase copies for their collection. And I’ve been reading it, and I’m examining my budget to try and make it possible for me to attend a related workshop in Baltimore next fall. It’s a longshot, especially trying to collect enough vacation time for the week-long event, but you never know. Am I doing enough? Oh, of course not. I should be attending local meetings, doing more research into local and state politics, and planning to attend rallies and protests. I should be donating more money to groups doing the hard work. But I’m human, and there are only so many hours in a day and only so much energy in my body and money in my wallet. I sometimes need to remind myself that even little things count. I am small, and my actions are only the tiniest of ripples in this ocean. But ripples can make waves. We are many, and our actions are more powerful together. Tell me: what are you doing to resist? How are you finding ways to fit activism into your life without completely sacrificing your mental and physical health? This entry was posted in Thoughts & Opinions and tagged America, feminism, opinions, politics, resistance on February 15, 2017 by antijen. “No. What DAT?” I hear the swish of his jacket fabric as he raises his arm to point at things I can’t see. I pull the car out of the space and look around for clues. The rear-facing child seat makes this game exponentially more difficult. “MOMMY WHAT DAT?” Swish. Point. This entry was posted in Life and Family and tagged funny, kiddo, moments on February 12, 2017 by antijen.